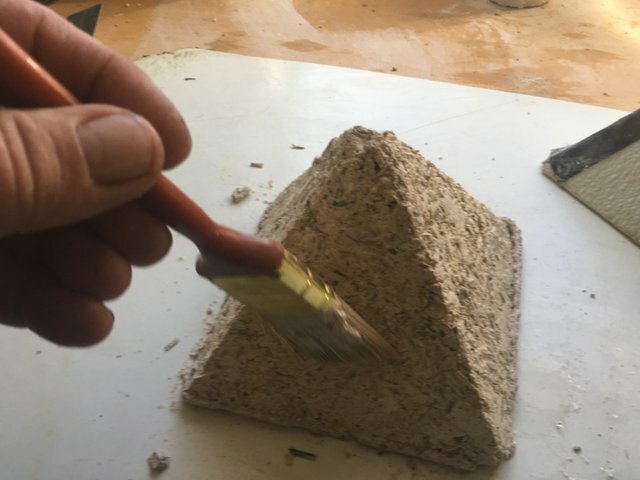 I Let the hempcrete pyramid cure for a couple of weeks Today I put a lime sand finish on it. I had carved out The bottom of it last weekend. And I was surprised by how much moisture it was still holding. The hempcrete at this point is set but it will cure for years using carbon dioxide as it cures. 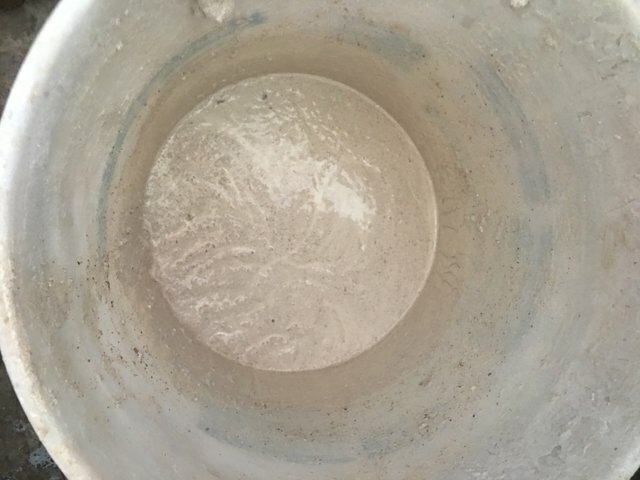 It is creating a reaction with the silica in the hemp Hurd that is actually slowly turning the lime back to limestone and petrifying the Hurd. The remains that you can see in the picture could be thrown into another mix or thrown into your garden. It is that earth friendly. After letting things set for another week I decided to apply my finish. I mixed this last weekend. The lime if kept form oxygen will not set. It actually setts better and harder if you let it age a couple of months. 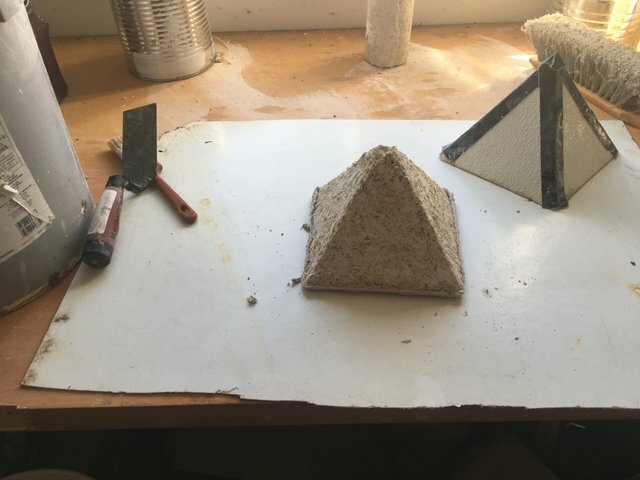 I took my cheap paint brush and wet the surface of my pyramid. This helps the finish bond to the hempcrete. The hempcrete draws the moisture up quickly. When the lime render is applied it sets quickly because the moister is drawn out instantly from the base as it cures. I will wet it a couple of times over the next few days to slow the cure. Here is a picture with the finish applied. 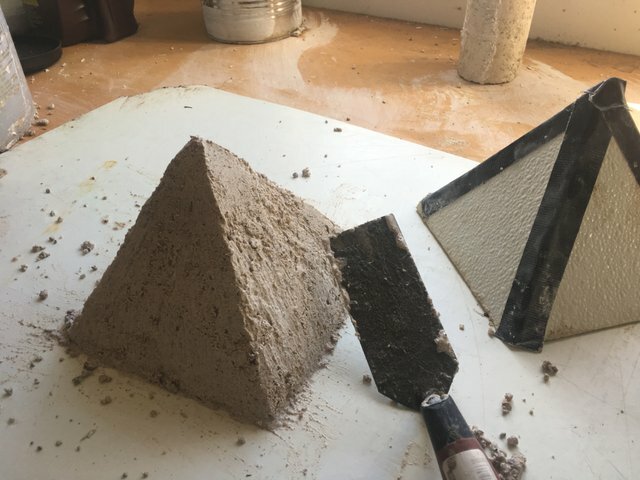 I am going to cast another pyramid next but with a slightly different formula, adding no sand and less lime to the mix. I will likely just display it in my library for now. I am experimenting with different formulas getting ready for a build of an interior wall. 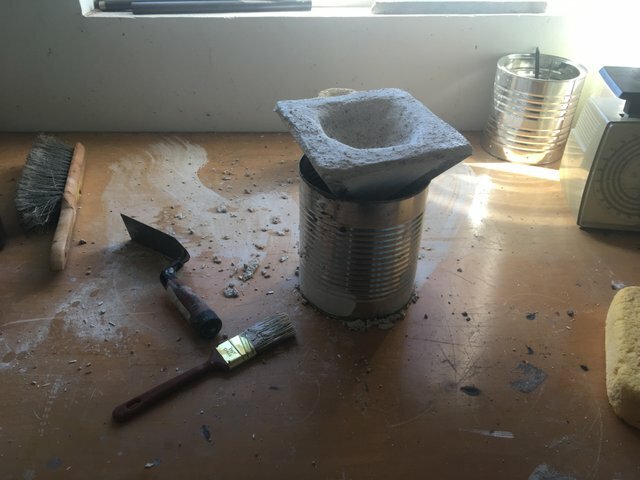 Hempcrete is an amazing medium to work with. The possibilities are endless for its uses. 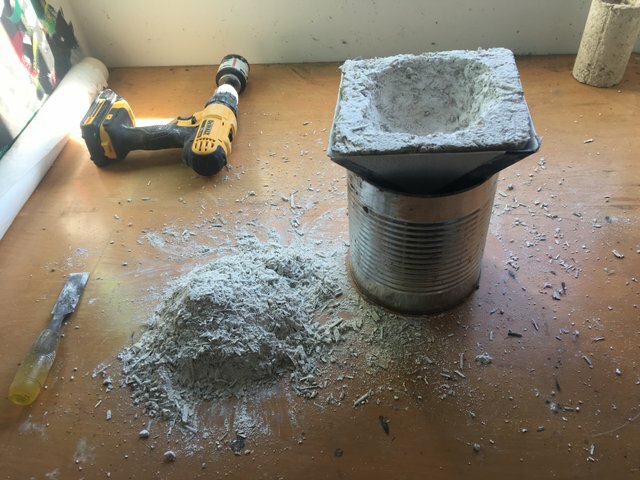 I should have referenced my previous post https://steemit.com/dyi/@andre-ager/working-with-hempcrete this will explain more.